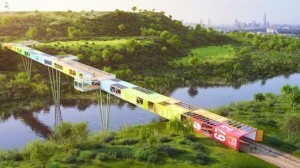 The so-called Econtainer Bridge, designed by Tel Aviv-based Yoav Messer Architects will be the world’s first bridge made entirely of used shipping containers. The bridge will be built across the Ayalon River to the gates of the Ariel Sharon Park and it will be responsible for transporting about 2,000 acres of the Hiriya waste dump, which was closed in 2004, into a nature reserve. There is currently a 25 million-ton mountain of waste at Hiriya, which is threatening to collapse into the Ayalon river. The finished bridge will be 160 meters long (525 feet) and it is designed to carry bicycle and foot traffic. Cars will not be able to cross it, but there will be a public shuttle vehicle going across it. The shipping containers used to build the bridge will be joined two-abreast and end-to-end with very little horizontal reinforcement needed. The primary structure of the bridge will be constructed by integrating a new steel truss with the containers. There will also be two cantilevering observation platforms, which will offer visitors the chance to take in the sights. 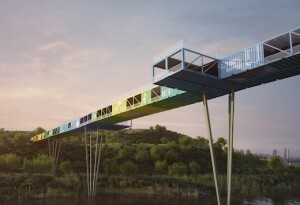 Since the bridge will be built modularly and out of shipping containers, it will be easy to maintain and repair. 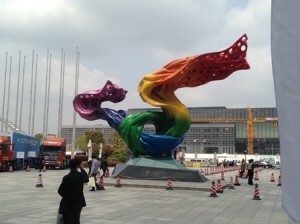 This construction method also allows for using the containers’ natural properties to frame specific views. There will also be display panels running the length of the bridge that will keep visitors up to date with site-specific information and planned new projects. 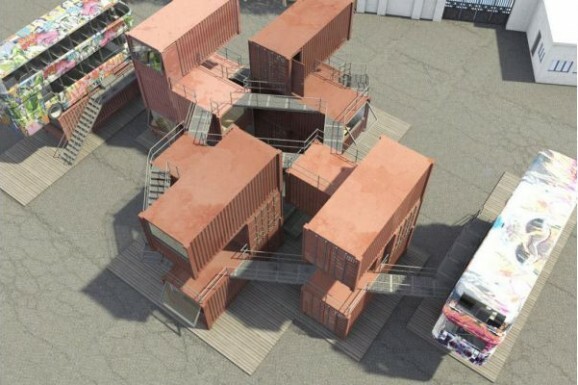 From the plans, it appears that the architects addressed ventilation issue by removing the sides from most of the shipping containers. Shading will be provided via louvers placed at suitable angles. Solar PV panels will be installed on these louvers, which will generate enough power to illuminate the bridge and the surrounding landscape. Most of the adaptation process of turning the used shipping containers into building blocks of the bridge will be done at an off-site factory, so as to minimize the damage to the natural site and speed up construction. The bridge is currently still in the planning stages and some aspects will likely still have to be adapted to the actual conditions. On Monday 19th May 2014 GVCT UK Ltd moved to new offices in the village of Penn Street, near Amersham in Buckinghamshire. Comet Studios is one of the three buildings built on the site of the factory where the daredevil Mosquito fighter planes were manufactured during the Second World War. Penn Street Works was the group of buildings in the Buckinghamshire countryside where they built de Havilland’s legendary twin engined ‘Mossie’. The Mosquito was made largely out of plywood, so it was fitting they were built near a town that was the centre of the furniture industry – a deliberate decision to capitalise on local specialist skills. The timber propellers and fuselages were assembled in buildings at the back of the site. The site surrounding the offices next to the popular Hit & Miss pub and Penn Street cricket ground have been landscaped to ensure the new buildings blend into the village setting. 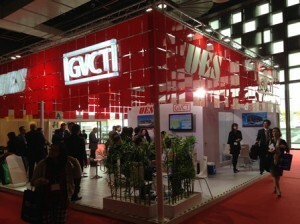 Grand View Container Trading exhibited earlier this month at the first ever Intermodal Asia held at the Shanghai World Expo Centre 1-3 April 2014. 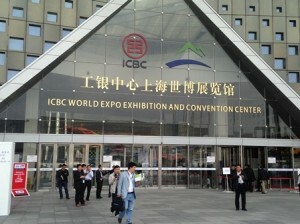 China’s leading container association, the CCIA (China Container Industry Association), and Informa Exhibitions formed a cooperation partnership to launch Intermodal Asia 2014. The event benefitted from the full support of the world’s largest container manufacturer, CIMC who is the chairman member company of the CCIA. 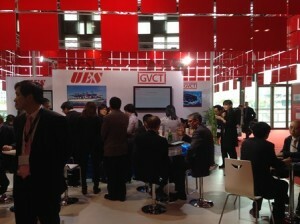 Senior Managers from GVCT UK office attended the exhibition and were present on the group stand, shared with sister company UES International (HK) Holdings Limited. The stand was manned by employees from both GVCT and UES Shanghai offices plus representatives from UES’s Miami and San Francisco offices were also in attendance. GVCT UK are the European sales agent for UES HK, the international leasing company with a fleet size of in excess of 300,000 shipping containers. GVCT UK have recently supplied a batch of 10 new 10 foot DNV Rated Offshore Shipping Containers for a new European based project. The GVCT Offshore Container range is designed and manufactured in accordance with DNV2.7-1 standards and are capable of handling the dynamic loads inflicted on them by lifting operations between moving vessels in the harshest of environments. 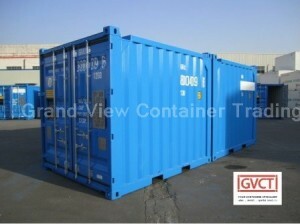 GVCT are able to supply Offshore Containers in 10ft, 20ft and 40ft sizes with Open Top variants also available all of which can be produced in customer’s own colours/decals. They have the advantage of retaining their ISO block configuration along with the pad eyes which allows them to be stacked on location with ISO locks. 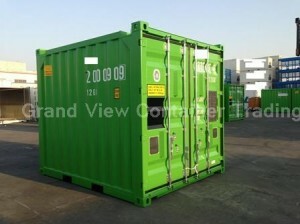 Built to CSC standards which allow them to be stacked as regular cargo on a container vessel. 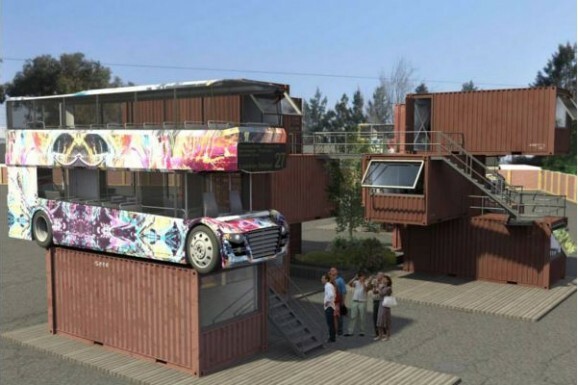 A new mixed-used creative facility is under development just outside of Lisbon is being built out of used shipping containers and retired double decker buses. Spaces in the facility will cost between 150 and 200 euros month-to-month, which includes internet and electricity. There will be room for as many as 60 occupants at any one time with one of the containers reserved exclusively for foreigners working in Lisbon who need a temporary, hourly workspace, at 30 euros an hour. Construction of the space is said to be completely sustainable in materials and construction began in late September with the facility expected to open in early 2014 in the Alcantara section of the city.